About 100 platforms and 4,600 miles of pipeline are expected to be removed from the North Sea over the next 10 years. The University of Aberdeen has stayed ahead of the curve by positioning itself as the go-to trainer of present and future decommissioning experts. The university’s MSc in Decommissioning, which was launched last year, was − and still is – the first programme of its kind. 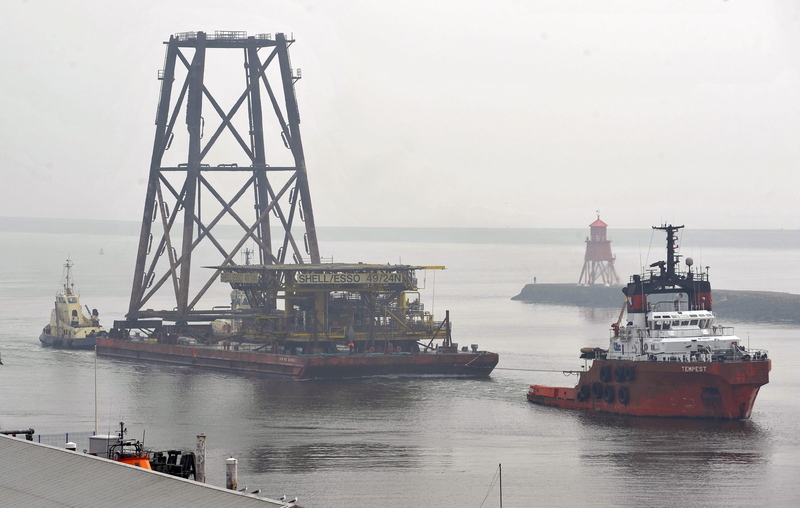 It adds to the university’s burgeoning reputation as a trailblazer in the development of knowledge around safe and efficient offshore dismantling. The university has joined with the Oil and Gas Technology Centre (OGTC) to create a national decommissioning centre of excellence at its deepwater research facility in Newburgh, Aberdeenshire. The Scottish Government has already invested in the centre and the university and OGTC are seeking co-funding from industry for the research and projects that will take place there when it opens later this year. The university has recognised that the UK’s oil and gas supply chain has a great opportunity to become a global exporter of decommissioning knowhow. The decommissioning industry can provide a career for specialists, who will also be able to apply their skills to the decommissioning of renewable energy infrastructure. The UK continental shelf is one of the world’s most mature oil and gas producing basins. About 100 platforms and 4,600 miles of pipeline are expected to be removed from the North Sea over the next 10 years. The Oil and Gas Authority estimates decommissioning costs will amount to £59 billion by 2050, but has set a target of lowering that figure by at least 35% to less than £40bn. For operators, decommissioning is an expense, with no profits to be made. It is in their interests to work with peers and oil service companies to reduce costs. Meanwhile, the Treasury is expected to have to cover about 45% of the final bill through tax reliefs. The new centre will call on academia and industry to collaborate on developing skills and products which will lower these costs. Achieving this requires professionals who can lead teams of engineers, business managers, legal experts and environmental impact assessors. At a time when experts are issuing warnings about skills shortages following three years of redundancies, the postgraduate MSc Decommissioning course will create a much needed conveyor belt of talent. The MSc takes an interdisciplinary approach covering all aspects of decommissioning, including engineering, project management, business, law, health and safety, and environmental science. It was designed in collaboration with major operators, supply chain companies and regulatory bodies and features guest lectures from decommissioning experts. The university has taken into account prospective students’ need for flexibility by providing a number of options for undertaking the MSc. They can enrol on a full-time basis on campus and complete the programme in a year, or they can do the course online in just over two years. Students can also study individual modules if they only wish to focus on a particular aspect of decommissioning, instead of the complete package. The programme can cater for engineers who need greater knowledge of the commercial or environmental issues involved, or accountants and business executives trying to get to grips with the technical or regulatory aspects of decommissioning. Course coordinator David Vega Maza said the online option had proven to be useful for people working offshore who want to broaden their appeal to employers. He said the majority of students were already working in the oil industry in areas such as engineering, though the course has also attracted recent engineering, geoscience, environmental and business graduates. In keeping with the collaborative spirit of decommissioning, students work in a very collegial way to solve problems. They are given real examples and are challenged to come up with comparative assessments which propose the best options for decommissioning. Dr Vega Maza said: “We are trying to make students understand two important things. Firstly, decommissioning is part of full life cycle of a field. “It can’t be viewed in isolation, as something you do at the end of a field’s life, as an afterthought. The MSc aims to provide a holistic knowledge about decommissioning, weaving a technical thread from plugging and abandoning a well to making safe, removal, reuse and disposal of offshore infrastructure; understanding regulations and costs involved; addressing the impact on the environment and the safety of any decommissioning programme; contextualise all aspects through a comparative assessment; and developing novel research bringing together industry, academia, the National Centre of Excellence, and a talented new generation of decommissioning graduates.